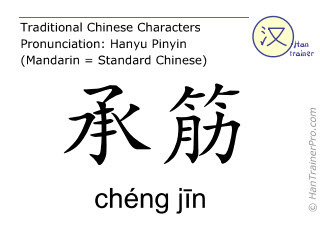 You cannot listen to the pronunciation of cheng jin because your browser does not support the audio element. You're listening to the natural voice of a native speaker of Mandarin Chinese. The modern (simplified) Chinese characters of chéng jīn are identical with the traditional characters displayed above.